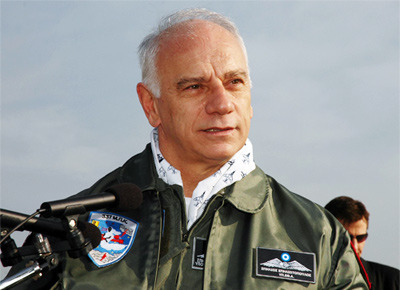 Mr. Spiliotopoulos was the Minister for National Defence of Greece from 2004 to 2006. Member of the Ministerial Committee for the Olympic Games 2004. He has been elected member of the Greek Parliament since 1989 and was re-elected constantly through the last election in 2004, in the first position of the candidate’s list in his constituency (Achaia). During his tenure as the Assistant Secretary General of the New Democracy Parliamentary Assembly, he was instrumental in spearheading many reforms and strategic planning. Among the positions he held within the party, he was a member in several Parliamentary Committees as in Educative Affairs, in Defence and Exterior Affairs and in Inter-parliamentary Committee for Greece and Cyprus. Mr. Spiliotopoulos was influential in his role as Person in charge of the Sector of National Defence for the New Democracy party. He was a member of the Political Council and Director of Planning for the Institute of Political Studies and Education (I.PO.M.E.). He was Head of Greek Inter-party Committee for the NATO Parliamentary Assembly, participating as an active member in the Special Mediterranean Group and the Political Committee, while served as technical adviser in the Technical-legal Redactional Committee for the Code of Air Law for the Ministry of Transportation (1984). In addition, Mr. Spiliotopoulos was a member of the corresponding Parliamentary Assemblies of the Western European Union (WEU), the Organization for the Security and Cooperation in Europe (OSCE) and the Black Sea Cooperation (OSEP). September 2007 took a new challenge as Consultant in Business Development and Strategic Planning. Served as a Fighter Pilot and Instructor Pilot for fighter jets and helicopters, logging a total of 3,500 hours flying time. Resigned from the Air Force as Lieutenant Colonel. Holds a Professional Airplane Pilot License and a Private Helicopter Pilot License (Hellenic Civil Aviation Agency). Appointed as Honorary President of the Center for Middle East Development, the Burkle Center for International Relations of the University of California (UCLA). Greece: Awarded the Commander of the Order of Merit and Golden Cross of Honor medals. Hellenic Air Force Academy, graduated at the top of his class, 1968. Interests: Sailing (transatlantic crossing ARC2000), flying / gliding, wind/kite surfing, music, travelling.